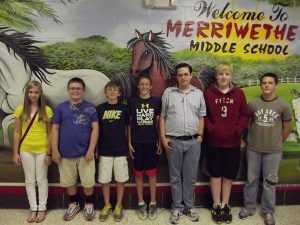 Merriwether Middle is excited to announce the 2012 PASS Scholars. These students scored EXEMPLARY on every part of the Palmetto Assessment of State Standards (PASS) test. The South Carolina PASS tests measure how well students have mastered the South Carolina state standards, and report student performance in each subject. PASS includes tests in five subject areas: writing, ELA, mathematics, science, and social studies. 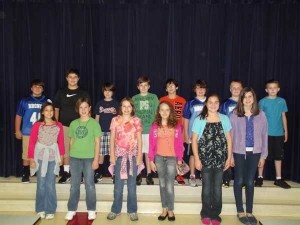 All students in grades 4 and 7 take both the science and social studies tests. Students in grades 3, 5, 6, and 8 take either the science or the social studies test. 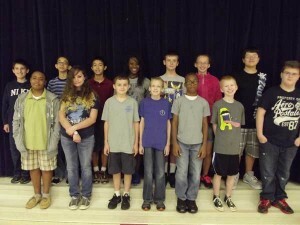 Approximately half of the students in each of these grades are randomly assigned to take the PASS science test; the other half are assigned to take the social studies test in each of these grades The PASS writing test includes one extended-response item (Day 1) and multiple-choice items (Day 2). The extended-response item requires the student to write a composition on a given topic. Again, Congratulations to these students for an Outstanding Job!